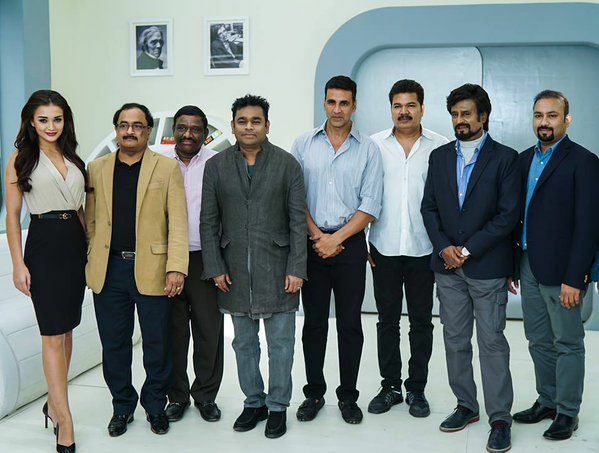 2.0 (2 Point 0) First Look Impresses Everyone! For the first time superstar Rajinikanth & Akshay Kumar have collaborated for a movie, which is marked as the biggest one in the history of Indian cinema with budget of 350-400 crores. Fans are showing immense craze towards the movie. Not only in South India, but across the entire nation as well as overseas it is buzzing strongly from a long time. As per the announcement made by stars few days back, first look of 2.0 has been released on 20 November. This includes three posters featuring protagonist Chitti aka Rajinikanth & antagonist Dr. Richard aka Akshay Kumar. 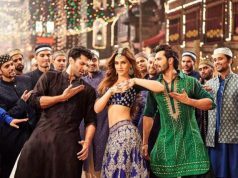 The peerless first look has boosted the excitement level of audience and now it seems quite difficult for them to wait till October 2017. The movie is scheduled to be released on Diwali next year in Tamil, Hindi & Telugu languages with 2D & 3D prints. Audience were already aware with the look & character of Rajinikanth, who is reprising his role of Chitti from the prequel Enthiran (Robot). But the evil look of Akshay is very surprising and impressive as well. To set equivalent hype of the movie among Hindi cinema fans, 2.0 is being promoted by keeping Akshay on front foot. The launch event of #2Point0FirstLook was held in Mumbai at Yash Raj Studios on a grand scale, hosted by the star filmmaker Karan Johar. Along with the super personalities associated with the movie – Rajinikanth, Akshay Kumar, S. Shankar & AR Rahman, Sultan of Bollywood Salman Khan was also present there. Addressing press, Rajinikanth said, “Akshay Kumar is the hero of 2.0 not me, he has performed his character brilliantly”. Rajini Sir showed his generous side and appreciate the dedication of Akshay for his work. Also he expressed his wish to work with Salman Khan.